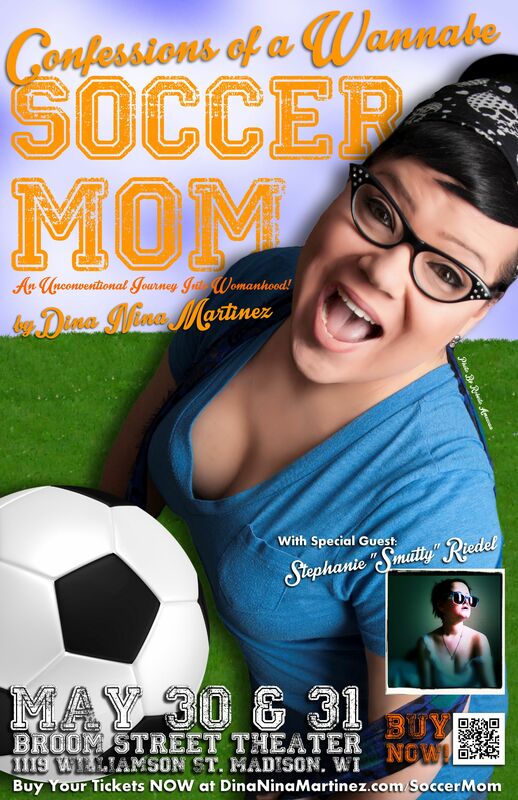 Confessions of A Wannabe Soccer Mom is a comedic storytelling of Dina Nina Martinez’s “Unconventional Journey Into Womanhood!” She recounts her youth in small town Texas, and the laughable life that’s brought her from Los Angeles to Madison. Her journey is marked by her loves and lack thereofs. From Coach Russell to Pastor Dane, Dina tells of the men she’s loved throughout her life and the very moment she knew she’d become a woman. It was like having a quinceanera on a city bus. “Confessions” is full of humorous anecdotes of being the artsy child with a robust fantasy life and touching moments of realness–the ups, downs and the numerous coming outs. Stephanie Riedel is a Madison area writer who regularly performs her poignant works on stage for The Bricks Theatre’s “That’s What She Said.” Her stories are oftentimes about being little, but also about finding herself in the rubble that coping with depression can leave behind. Stephanie bares her heart and soul in hopes others will recognize themselves in her journey and not feel so alone in theirs.